ONE of cinema's most-loved chase scenes will be brought to life in an innovative way at QPAC'S Lyric Theatre. The Melbourne Theatre Company's acclaimed production of Alfred Hitchcock's North By Northwest, playing Brisbane for a limited season, recreates everything from drunken car rides down twisting roads and a love affair on a train to the famous cliff-hanger ending on Mount Rushmore on stage. 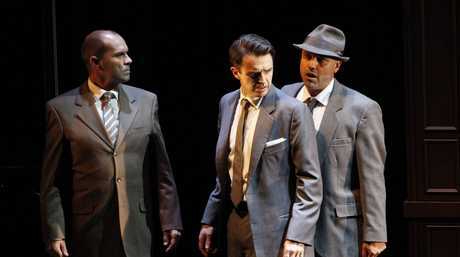 The modern take on Hitchcock's 1959 classic is like nothing Queensland theatre-goers have seen before. "The first question you get is 'How are you going to do that cropduster (plane) chase and how are they going to climb down Mount Rushmore? '," producer Liza McLean says. "The simple thing would have been to project those moments on to a big screen, but we didn't want to do that. "What Simon (Phillips, the director) has created so ingeniously with his set designer and the entire creative team is this opportunity to use very traditional theatre convention and combine that with very, very advanced film technology to deliver film-like moments in front of an audience. "The actors in the company all manipulate miniature props in front of live cameras to create those big moments. "All the actors are also responsible for moving all the sets and props, so every set change happens live in front of the audience." In the mystery thriller, Roger O. Thornhill is a suave and successful advertising executive, abducted by thugs who insist he is a man called George Kaplan. 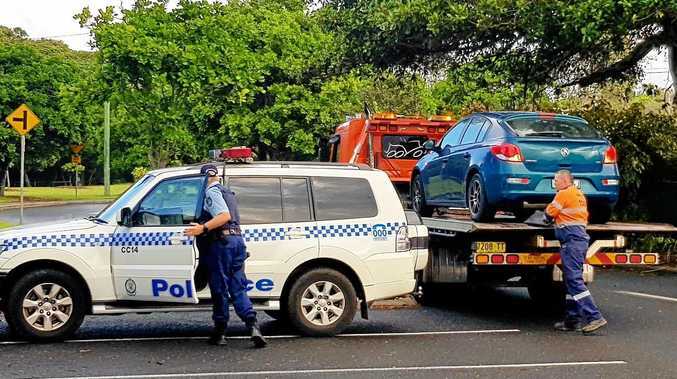 When they try to pin a murder on him, he's forced to go on the run. 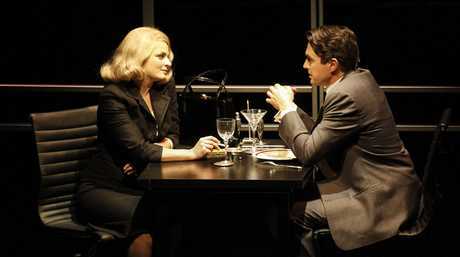 Leads Matt Day (Thornhill) and Amber McMahon (Eve Kendall) reprise their roles for the Queensland season. "Trying to get somebody to be the next person to play the role Cary Grant made so famous is confronting for an actor," McLean says..
"Matt was perfect for it. He never once tried to be Cary Grant. "He was Roger from the minute he started running his lines. "He's literally on stage from go to whoa and his relationship with Amber in the Eve Kendall role is this magical romance that happens amongst the frenetic madness. "Audiences will be amazed by him." Brisbane is only the second Australian city to experience this celebrated production following sell-out seasons in Melbourne, the UK and Toronto. McLean has her sights set on a Broadway debut as early as next year. "In between the show going from Brisbane to Adelaide, I get on a plane to go to New York to continue our conversations with our management and production teams over there to see whether we can be back in North America," she says. "We're looking at doing a couple of out-of-town seasons and, with any luck, transferring into Broadway where this show will really come into its own. "For me as a producer, if I can achieve that, then I'll feel like I can relax a little bit. When we decided to go to Warner Bros. to get the licence to do this production, it was always our intention to showcase Australian creatives overseas." 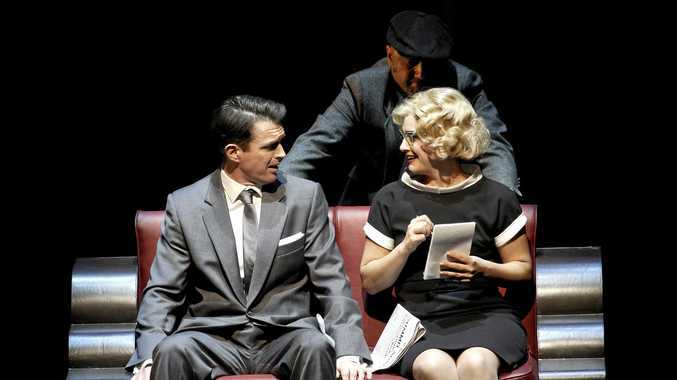 North by Northwest plays QPAC's Lyric Theatre through December 9. Go to qpac.com.au.